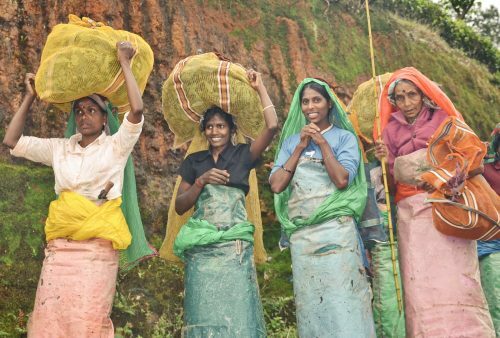 A 2-week Sri Lanka Family Tour. 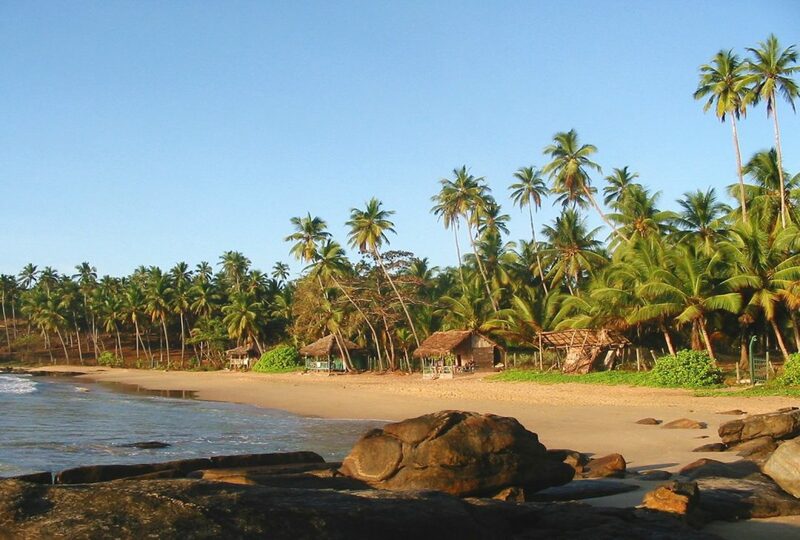 Explore the World Heritage ancient city of Polonnaruwa by bicycle, scale the dramatic rock fortress of Sigiriya, raft down the jungle-lined Kelani River, hike across Horton Plains National Park to the spectacular ‘World’s End’, go on a jeep safari through Udawalawe National Park, take boat trips snorkelling or whale watching in the Indian Ocean, embark on an ‘urban adventure’ with a tour of Colombo’s night bazaar and of course sample the delicious Sri Lankan curries in local cafes, with plenty of opportunities to meet the super-friendly island inhabitants. 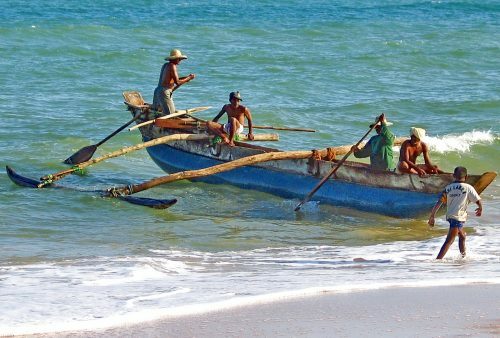 This wide range of activities and stunning landscapes, plus the Island’s rich culture and history, ought to keep families of any age, shape and size happy, enthralled and fascinated. 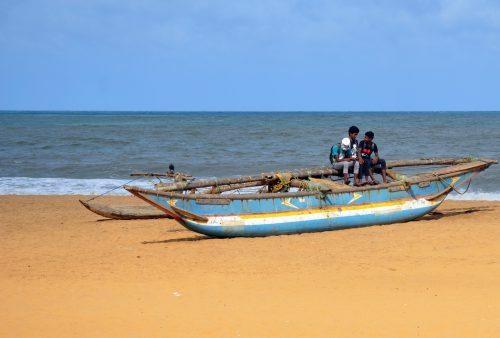 By switching the beach activities from the south coast to the lesser-known northeast and the Trincomalee, Nilaveli area during the western monsoon means the tour and all its activities are eminently suitable for any time of the year. This is a private family tour with no fixed departure dates and can therefore be arranged for whichever period suits your family’s time-frame. 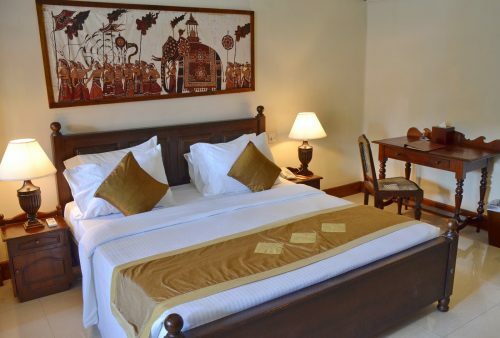 The ‘starting from’ price is based on a minimum of 4 persons sharing two double/twin rooms while flights are extra and vary according to the season. Please don’t hesitate to contact us for further details or to discuss any queries, tweaks or requests you may have. 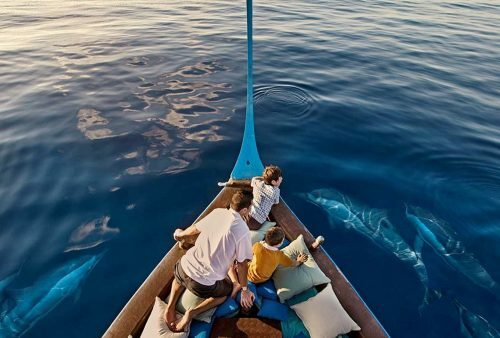 Note also that for those with time to spare we offer 2 choices of extensions to the nearby Maldives; an off-the-beaten-track ‘Hidden Maldives‘ option, which is an escorted tour staying in a local fishing village inn, or a stay at the excellent Barefoot Eco-resort. (The Maldives capital Malé is 1-hour flight from Colombo as well as having direct flights to Dubai and the UK). 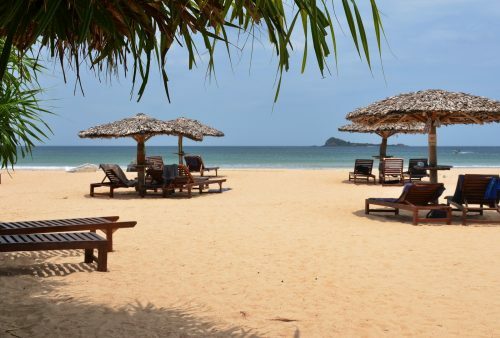 Arrival in Colombo and transfer to the nearby beach resort of Negombo for some relaxation time after your flight before a local-style welcome dinner introduces you to the Island’s justifiably famous cuisine. Extra accommodation prior to your tour is available on request. 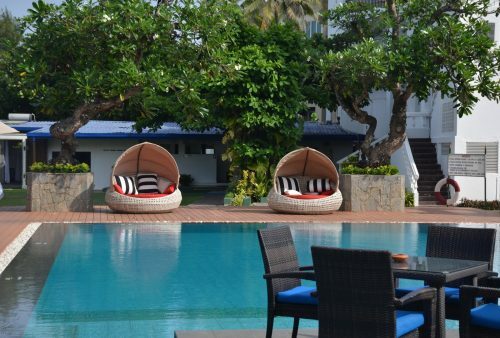 Morning at leisure; check-out the colourful fish market, take a dip in the Indian Ocean or just relax by the pool before an afternoon tour of Sri Lanka’s capital Colombo. 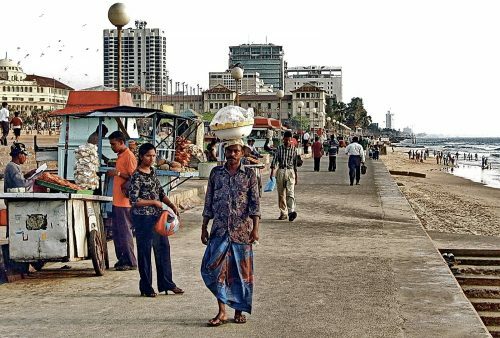 Visit the National Museum and check-out the colonial-period architecture with a sunset stroll along Galle Face Green followed by an evening street food tour of the bustling Pettah Bazaar. 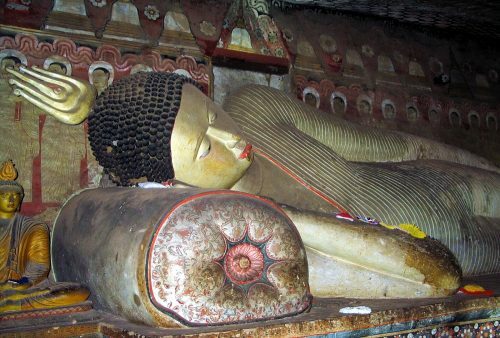 Heading northeast into the interior our first stop will be the spectacular, World Heritage cave temples of Dambulla. From here we’ll continue through this forested region to Giritale for our accommodation in a superbly situated lake-side resort. 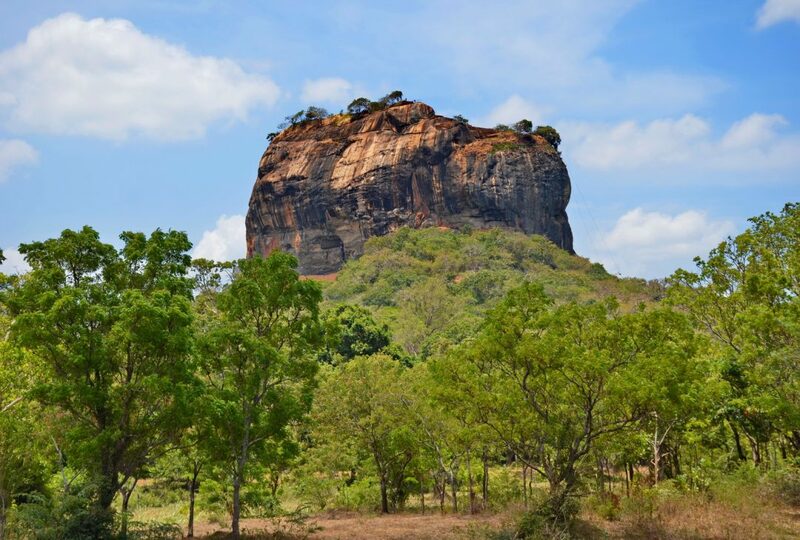 Visit the nearby, spectacular rock fortress of Sigiriya with an early morning walk to the summit to check out the mountain’s famous ‘Maidens of the Clouds’ as well as its stupendous views. 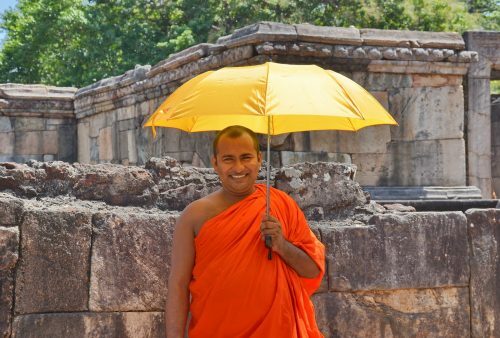 Afternoon cycling tour of the ruined ancient city and medieval capital of Polonnaruwa including a guided visit to the fascinating primate research centre. 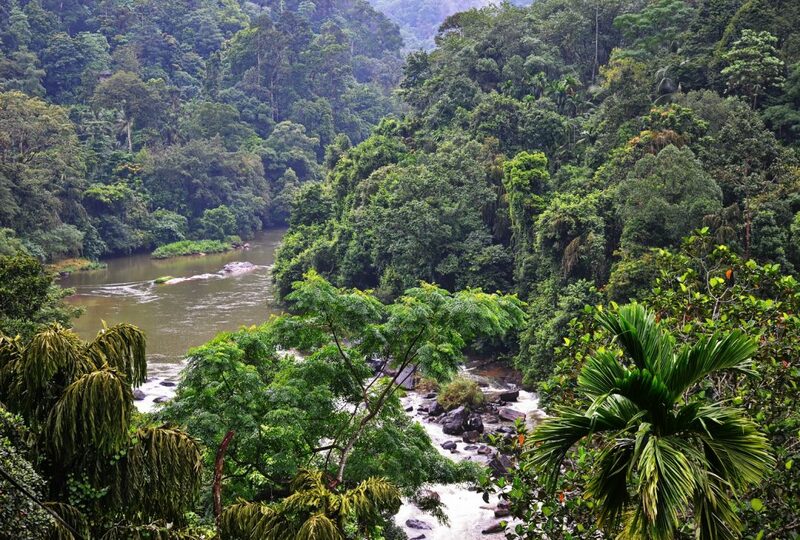 Drive south to Kandy – another UNESCO-listed site – with a stop on the way at a spice orchard before checking in to our lakeside hotel. In the afternoon we’ll have a chance to witness the Buddhist puja or blessing ceremony at the famous Temple of the Tooth. 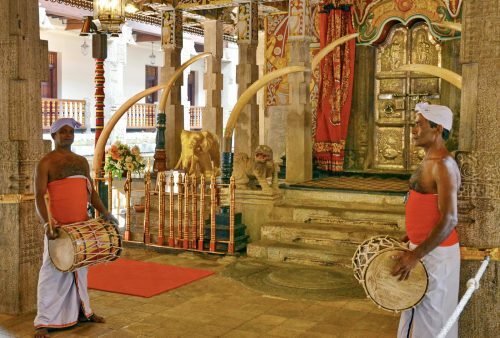 Morning tour of the town’s celebrated Peradeniya Botanic Gardens while in the afternoon you’ll have the chance to actually learn some local-style, traditional dance and drumming with one of Kandy’s celebrated dance troops! 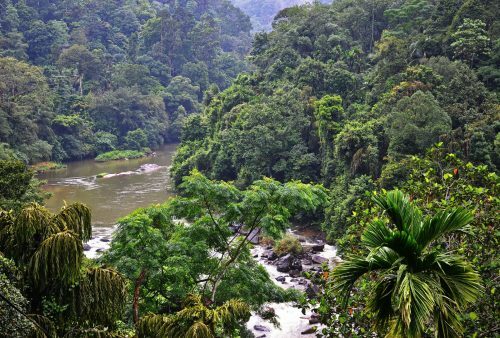 Departure for a scenic train ride through the highlands and plantations to the lush jungle of Kithulgala for an afternoon rafting trip down the picturesque river and a nature hike at Kelanivally rainforest. Overnight in a riverside lodge. 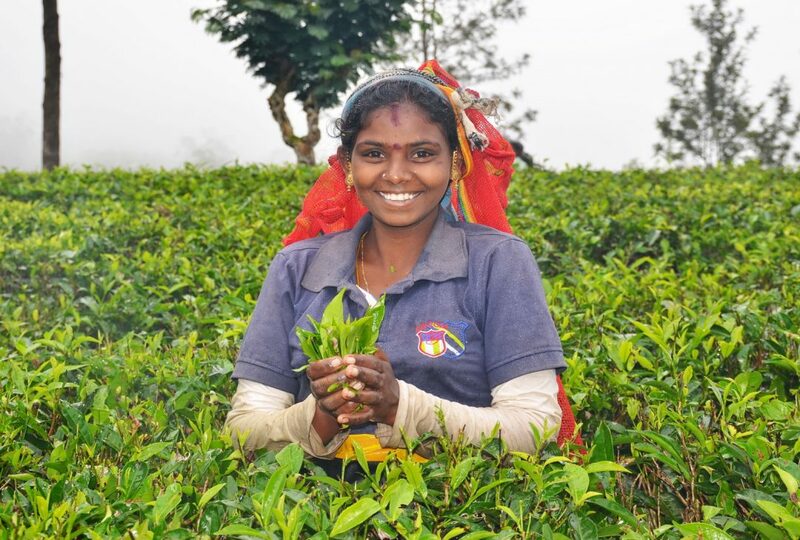 Morning drive to the old British hill town and tea centre of Nuwara Eliya with a chance in the afternoon to visit one of the region’s plantations, learn about the tea producing process, (and of course sample the local brews) as well as discovering the Hill Country’s wonderful scenery. 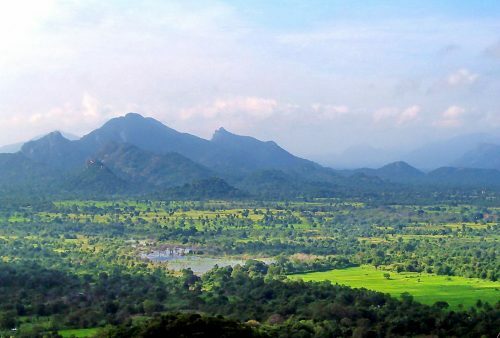 Off by train again to the scenic mountain town of Ella from where we’ll continue by road to the superb Udawalawe National Park particularly famous for its elephant and leopard populations. 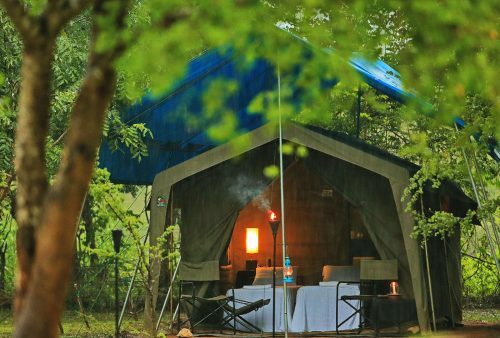 An afternoon jeep safari will be followed by an overnight stay in a tented national park camp. An early morning jeep safari in Udawalawe before heading down to the coast and the small town of Tangalle for 2 night’s accommodation in a charming, low-key beach resort. 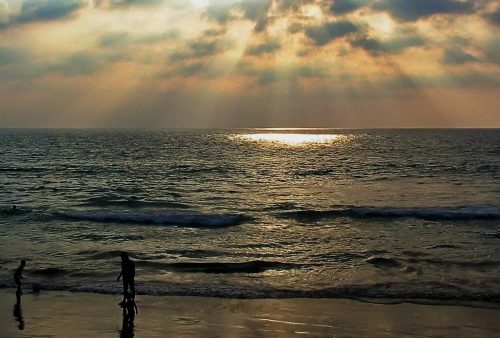 Afternoon at leisure to explore the area or sample the waters of the Indian Ocean. 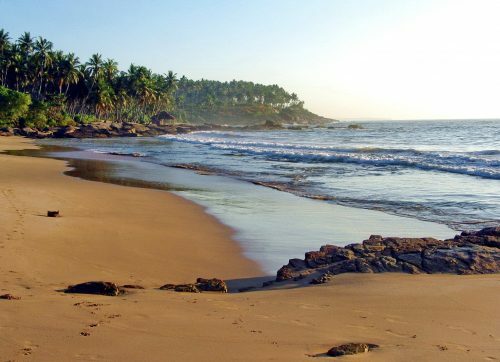 At leisure to relax at your resort or explore the area with options for the more active including a fascinating wildlife watching boat tour through nearby Kalametiya Wildlife and Bird Sanctuary. 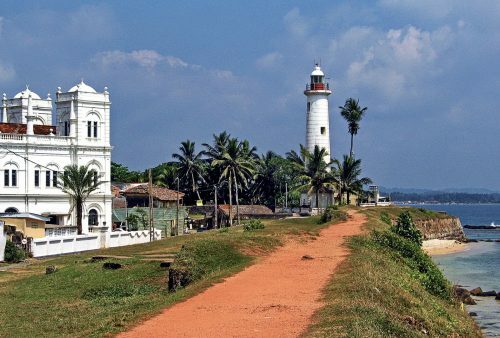 Short drive along the coast to another UNESCO site – the well-preserved ancient town of Galle – where we’ll explore the fortifications and narrow lanes of the old Dutch walled town and its Moorish Quarter, spectacularly situated on a rock jutting into the ocean. 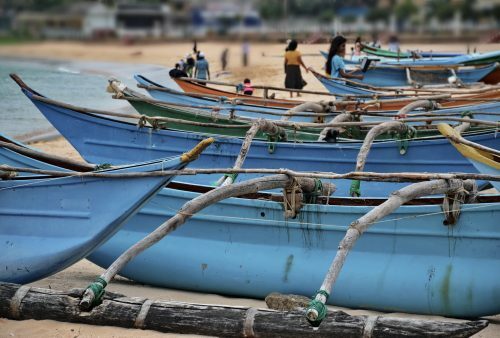 An optional whale watching trip can be organised in nearby Mirissa (weather permitting) or a morning relaxing before an afternoon drive back up the coast to our final destination – beachside Negombo and a farewell dinner. 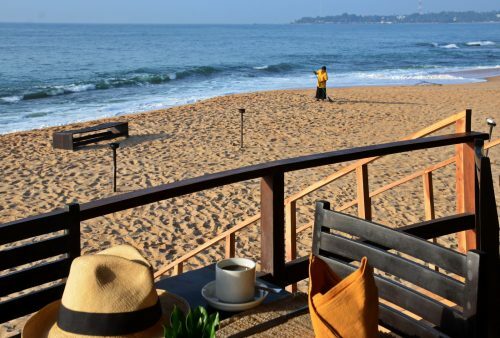 Morning at leisure with a transfer to Colombo International Airport at your convenience for a flight home.
" This was possibly the best holiday that our family has had together and certainly one that will stay with us for a very long time. It was two weeks of not worrying about where we were going, staying or eating, the guide and driver went out of their way to make sure our holiday was what we wanted including organising activities for us on their days off. 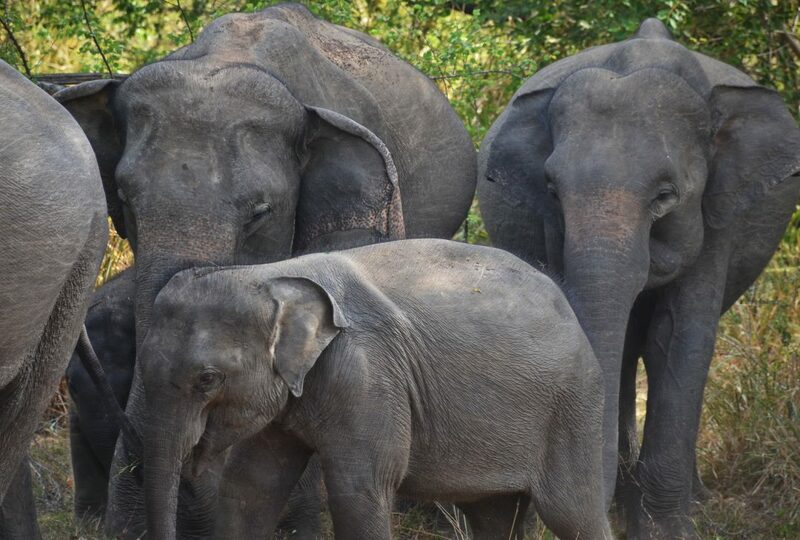 We saw amazing sights and the best by far was the sight of over a hundred wild elephants at a local watering hole. At the end we felt so relaxed, refreshed, well fed, more educated and healthy, what more could you ask from a holiday! Thank you 'allpointseast' for looking after us so well. " 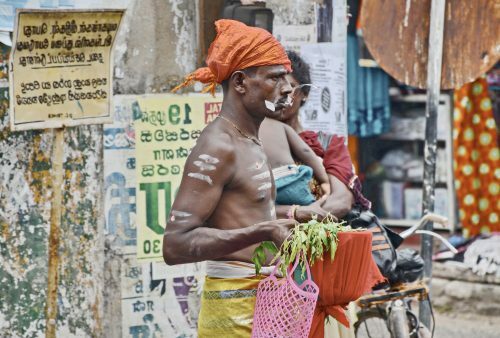 " Having a fully guided tour was new to us as a family and we were fortunate to have a very knowledgeable and experienced guide who was able to make the tours interesting and allowed us the free time which we often asked for to explore places on our own. 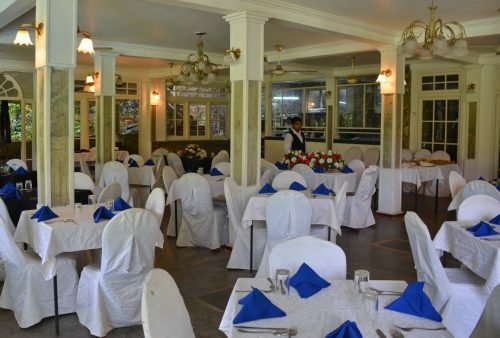 As a family we most enjoyed the safari and camping experience along with the rafting. 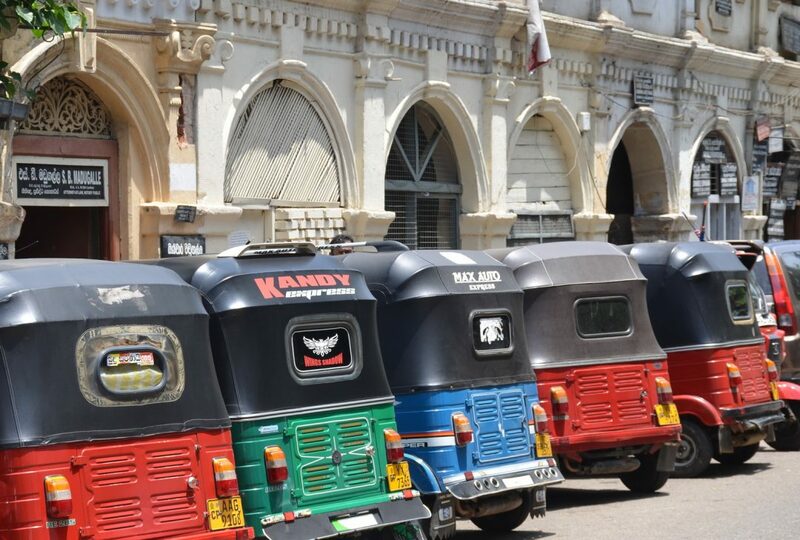 The city's and towns we visited were interesting and we particularly liked Kandy as we were able to walk from our hotel into town and get a real feel for the place. 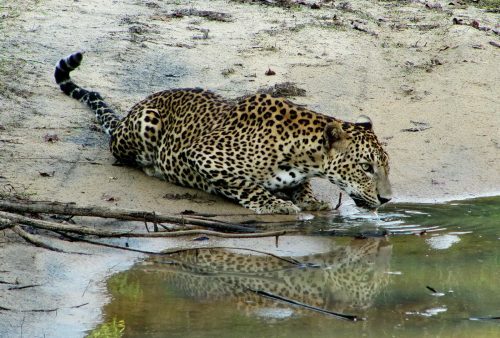 We really enjoyed the rock fortress at Sigiriya and having a swimming pool at most of the hotels was wonderful. "